Swell of the Year – again. 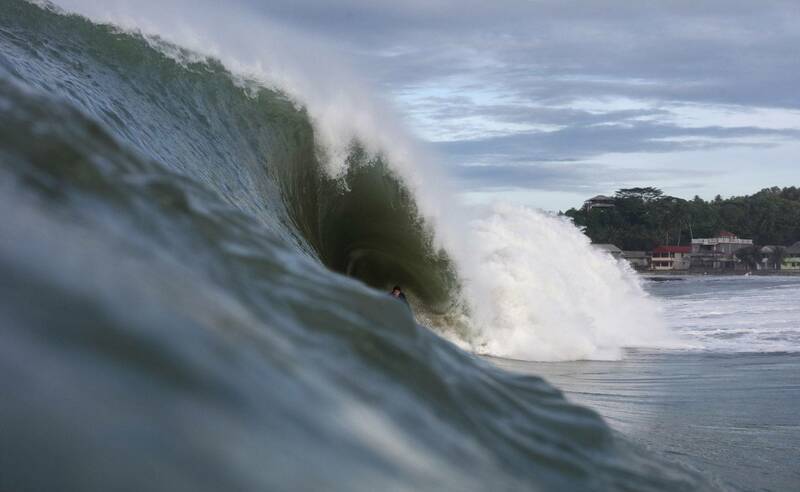 Just a week ago, the whole Indonesian archipelago got smashed by intense waves, accompanied by an even bigger hype. This time though, everything seems to be a bit more serious. Less hype, more power. Spectators on the beach, drones in the air, pros in the water. It is the big show and all the big names are here. Florence, Walsh, Healy – you name ’em. The swell peaks tomorrow, but there is already an incredible amount of water moving around. The power of this swell is outstanding. Fish get pushed onto the dry reef. “In all those years living here, I’ve never seen something like that”. If something like that comes from a Lagundri local, then you know something special is happening. July 25th. The big day. What appeared yesterday as a big set is now just mid-size. The size of the waves that rumble the bay today is on a whole new level. “Looks like Waimea Bay!” comes from the Hawaiian pros, who came here in classic strike-mission fashion. A fair call, as the waves are feathering even in the deepest parts of the bay. The Keyhole: Closed for the day. The once easy access to the waves is now death zone, forces every surfer to go out down the point and fight the current. It’s just unmanageable out there! But once in the lineup, the guys show what they are here for and a nerve-wracking session starts at early morning with big drops, deep barrels, and heavy wipeouts. But after a while, the waves start to steal the show. 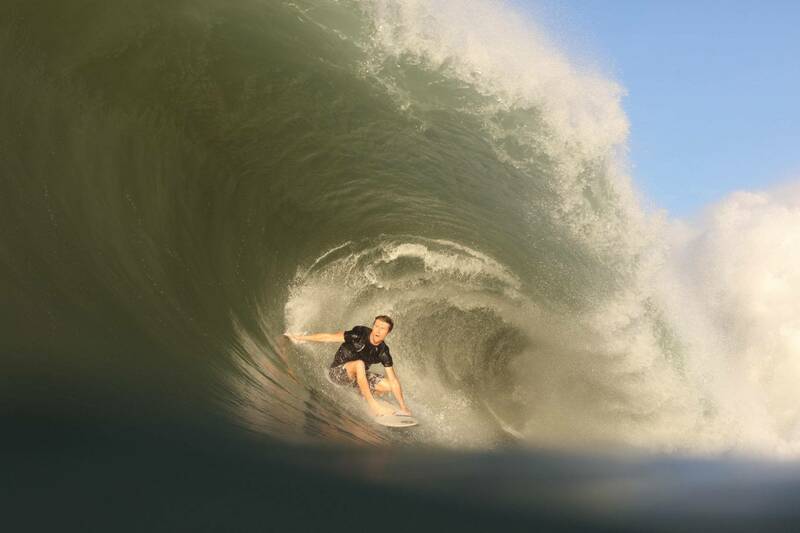 Throughout the early day, the waves keep growing and growing and around midday, only a few are ridden. “It’s just unmanageable out there!” comes from a bit frustrated Koa Rothmann. A swell, so powerful that paddling is not possible anymore. Who would have thought that? Incredible. 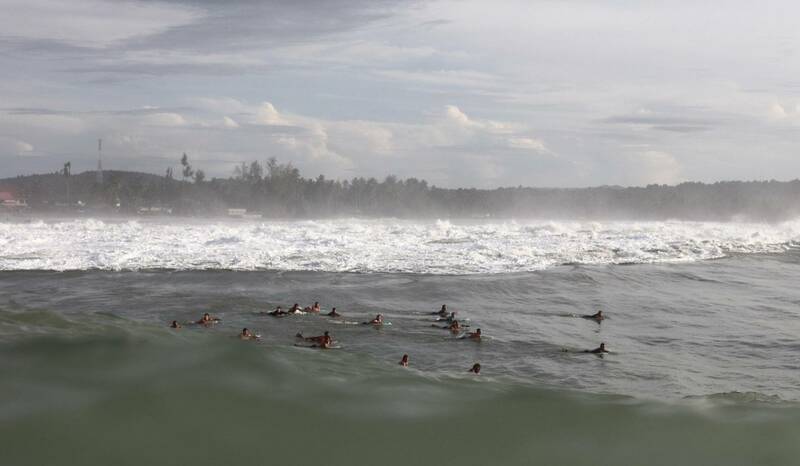 But not only the surfers are struggling with the conditions. A boat, moored at the usually safe zone around the keyhole gets smashed by the waves and dies in spectacular fashion in front of the eyes of a screaming crowd and is later all around the web. The same happens to a handful of canoes deeper in the bay, but without the media attention. Seems like even the wave-proven locals didn’t expect something like that. More than once I hear the word “Tsunami”. Maybe it looked like that when the deadly waves came into the bay back in 2005. Later in the evening, it seems that more and more waves get ridable again and the guys start to show epic surfing that might be something for the history books. The beach is devastated, covered with mud, smells like fish. It has the looks of a flooding. The big coral stones on the reef got rearranged. 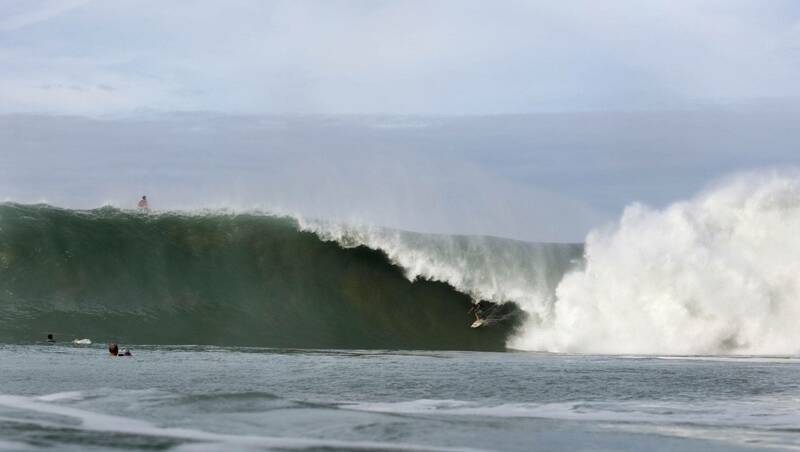 Locals collect fish and mussels that also got victims of this monster swell. Seems there might be a lot of BBQ going on tonight! As the water comes back to normal conditions, its time for a review. What the hell was that? We have sunk boats, injured pros, dead fish on the reef. Matt George calls this a cosmic event. Yes, this was truly an epic thing. Nobody in living memory has ever seen something like that. In the future, every big swell will be compared to this. 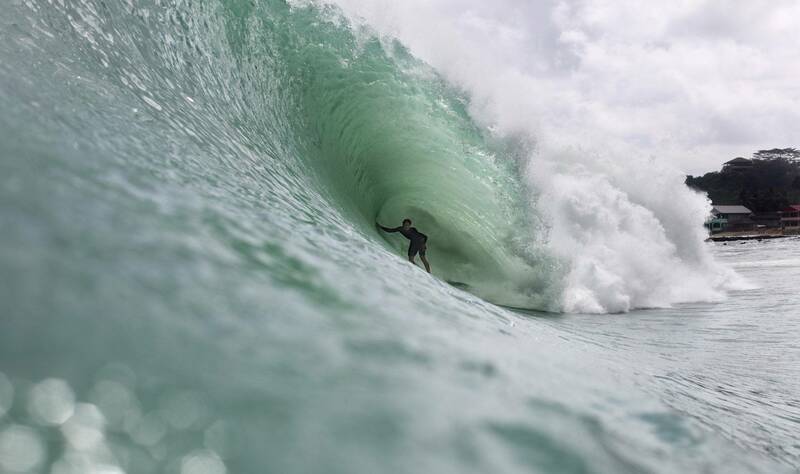 It will sound like: “Is this bigger than the July 25th Swell?” Chances are high that these questions are asked not far from now, as the next big thing is already brewing in the southern Indian Ocean. Swells will rise and shatter the reefs of this beautiful archipelago. But this time, without me.